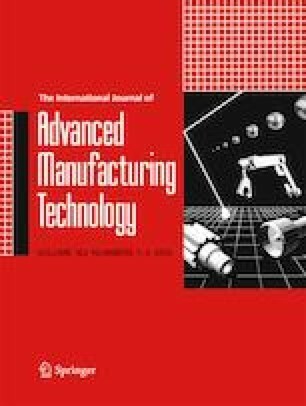 This paper describes an Augmented Reality system for the improvement of the manufacturing process in the packaging sector. It presents a successful use case of how to integrate the Augmented Reality technology in a factory shop floor by providing a tool that helps operators in their daily work. Given a product reference, the proposed system digitizes the setting of the die cutter automatically from an image and stores it in a database to subsequently consult and analyze. Furthermore, the content display is not carried out as a conventional Augmented Reality system (wearable devices such as glasses or mobile), but projecting directly on the workspace to facilitate its interpretation. Compared to the current workflow, where the data is recorded on sheets of paper and stored physically in warehouses, the proposed system offers several advantages such as preventing data loss, reducing costs, or the possibility of increasing knowledge from the post-processing of digitized data. This work has been partially funded with a Torres Quevedo grant from the Ministry of Economy and Competitiveness of the Goverment of Spain.